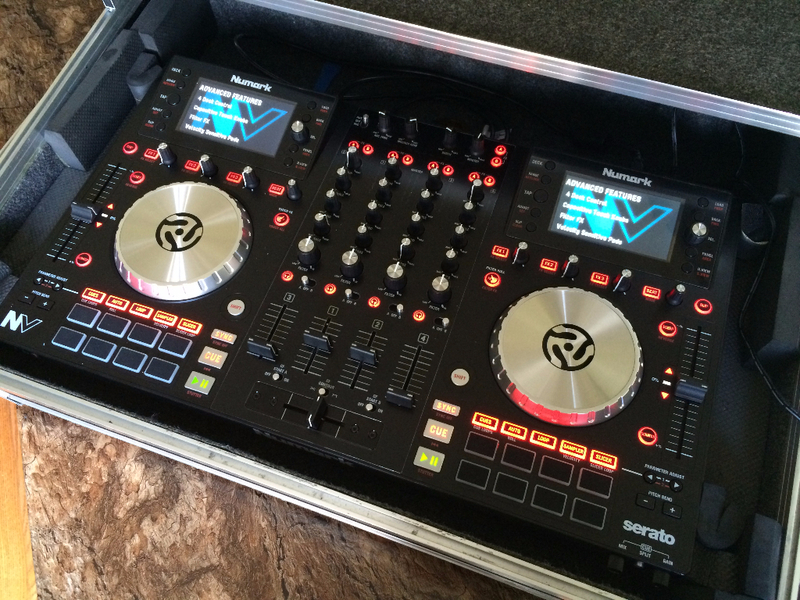 How much experience does your disc jockey (DJ) have? 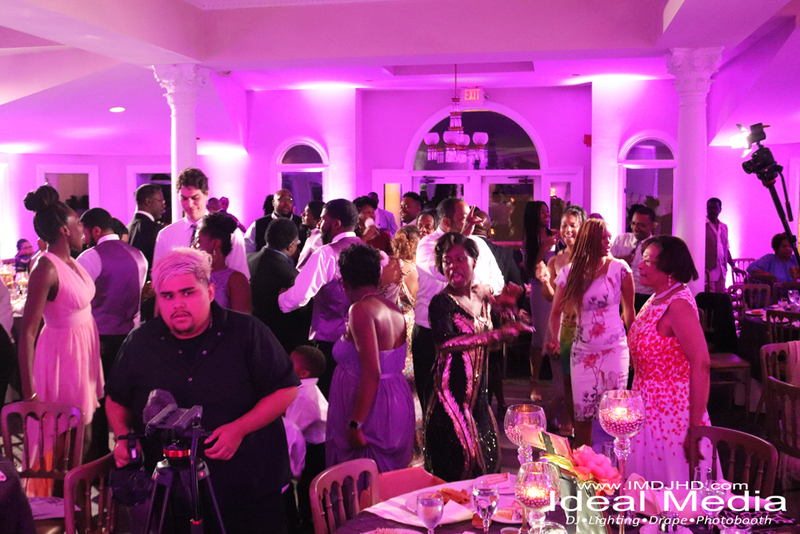 Are they part-time or full-time DJ’s? 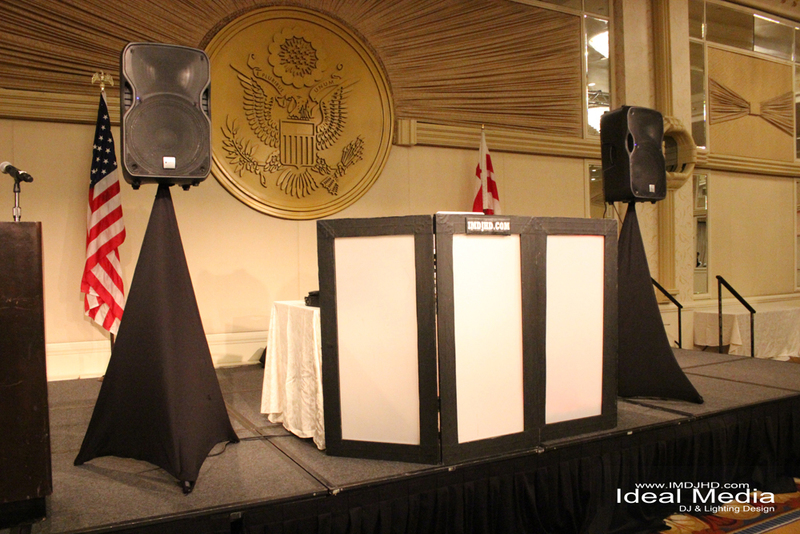 Do they have experience with your type of crowd? 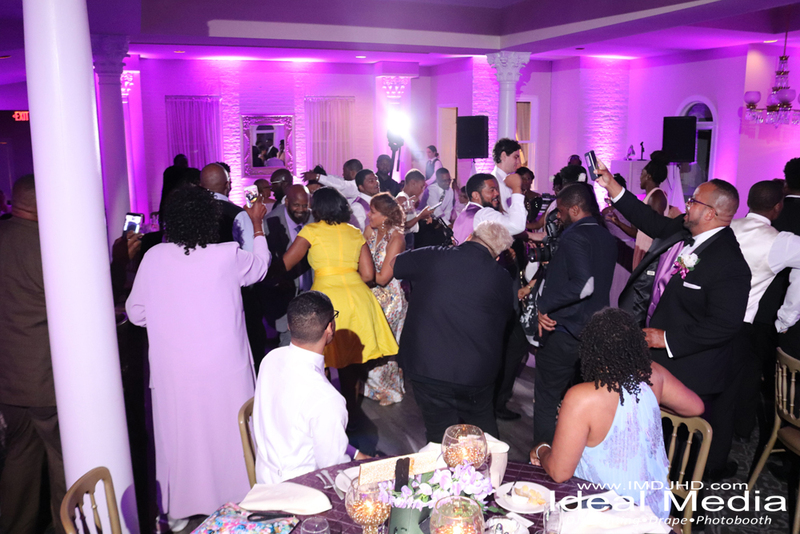 Some DJ’s can only play certain types of music for a certain age group while others are familiar with all ethnicities and can play for all ages in any setting. 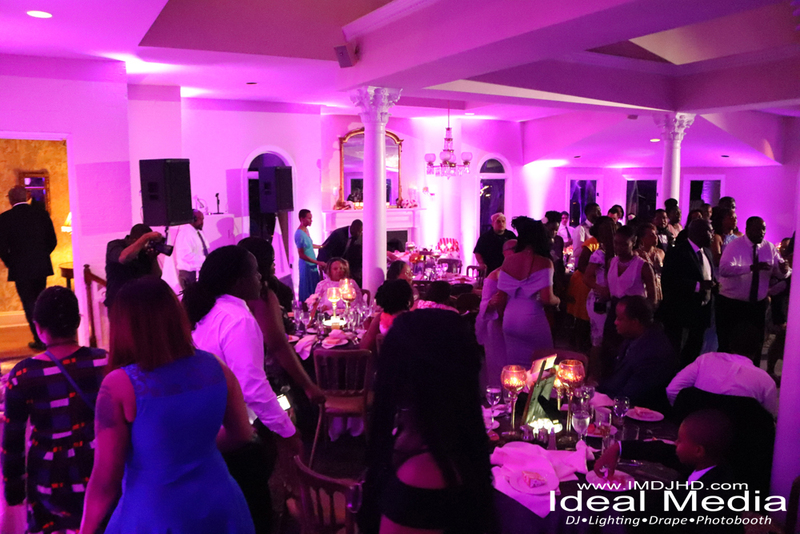 Also, some DJ’s have worked hard enough to the point where they can provide these services full-time which shows how much demand they’ve acquired over the years. 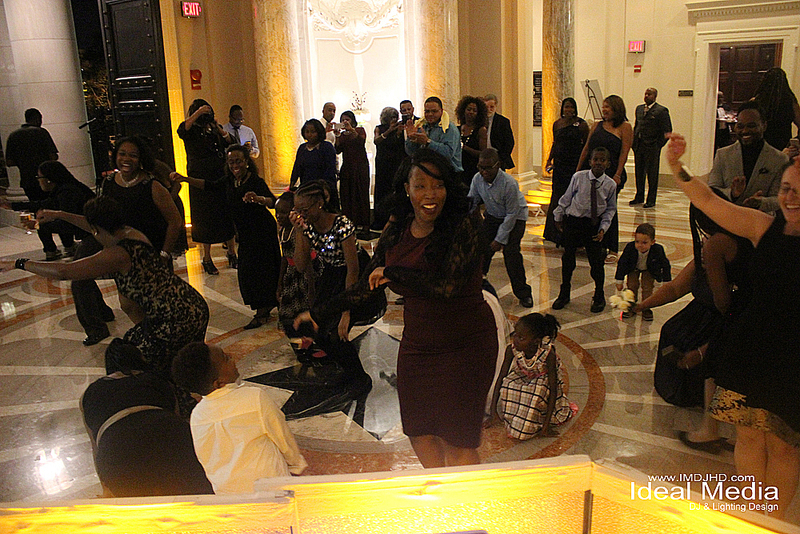 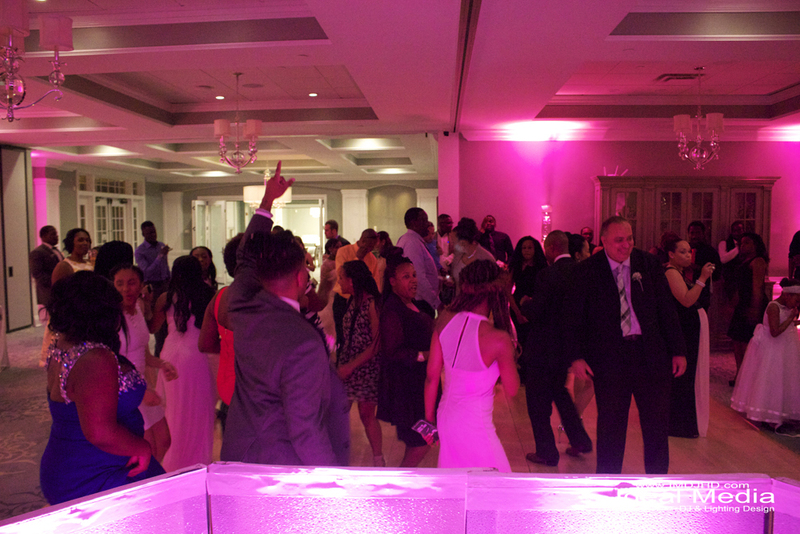 Like us on Facebook for more info and updates on DJ service in MD, DC, VA! 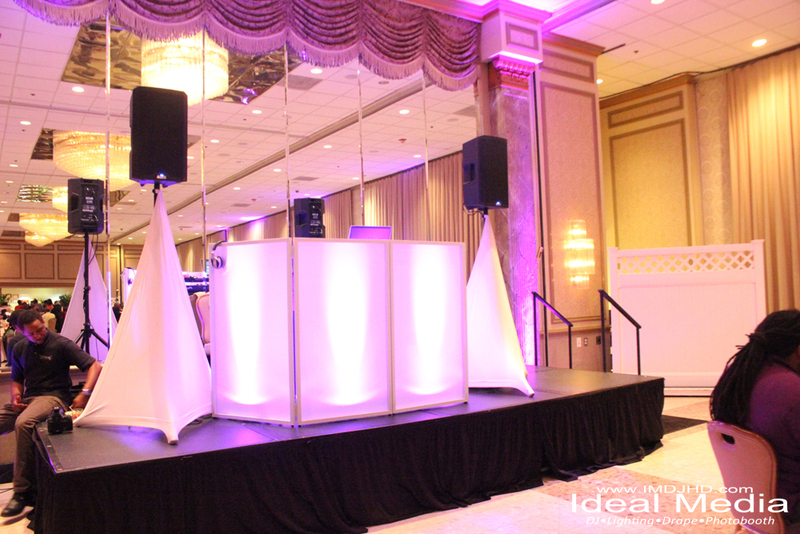 Can you find feedback from clients about the DJ you’re interested in? 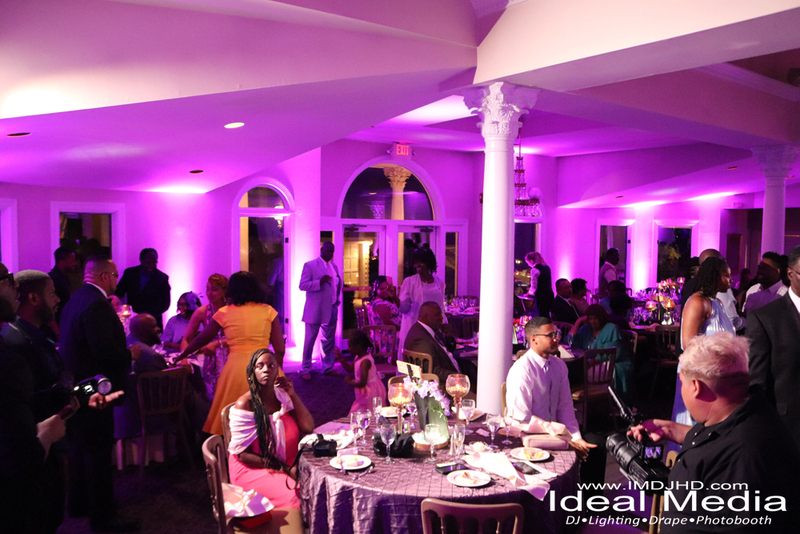 You should never rely on what a person says about himself or herself, but it’s better to rely on what others say because they have less reason to lie about their experience. 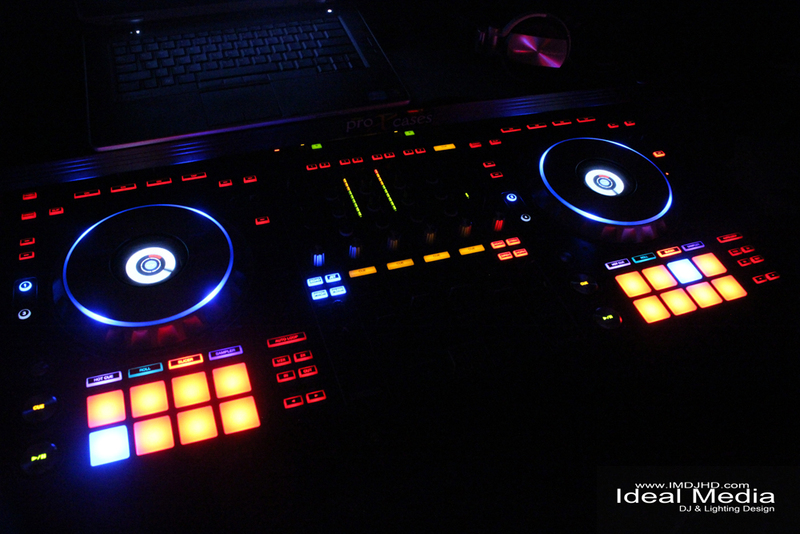 If you can’t find any reviews on the DJ you’re inquiring about, then most likely, they may not have the experience that they’re advertising. 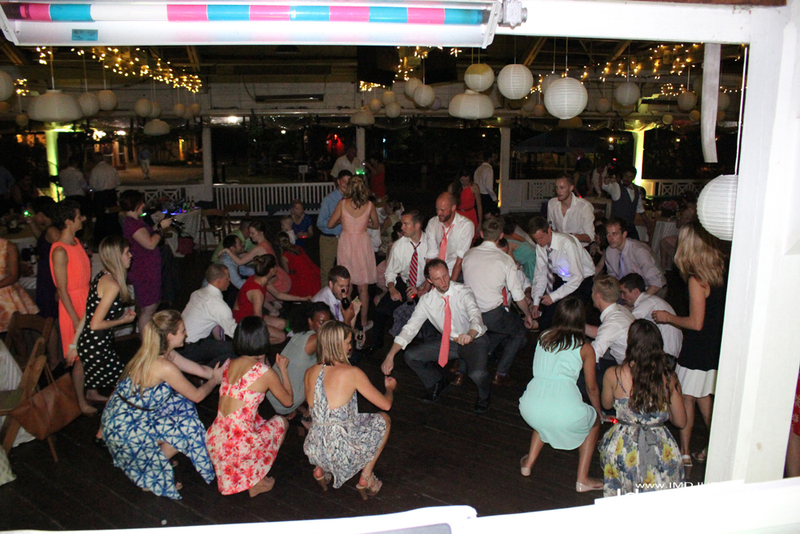 DJ’s should also be able to provide references if needed. 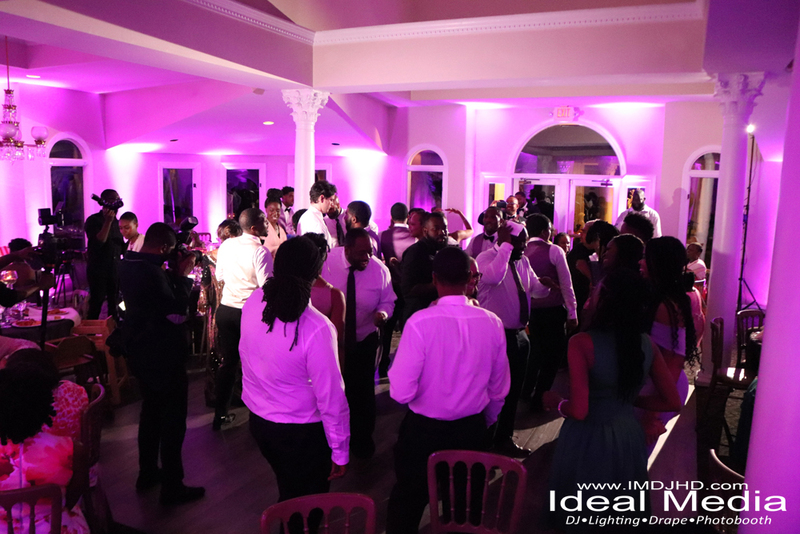 Check out REVIEWS from local DJs in DC, MD, & VA.
What makes a DJ a professional? 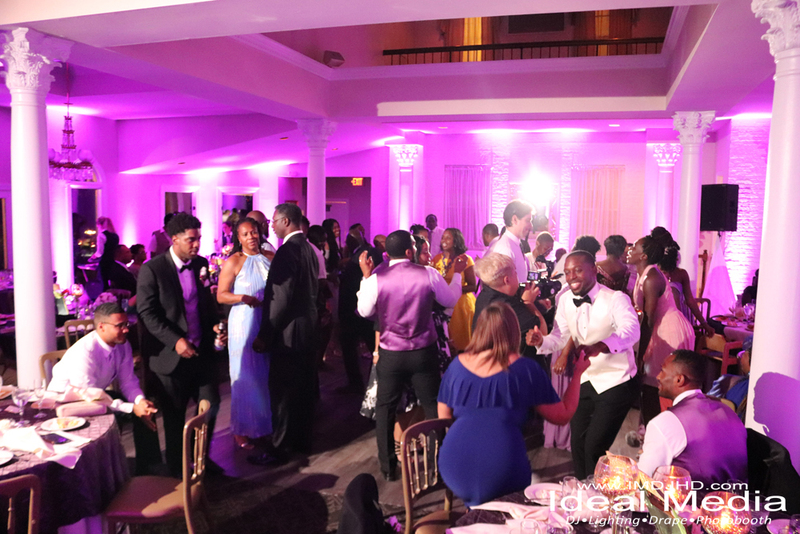 Depending on the details of your party or event, the DJ should be dressed appropriately, should be on-time, and should ask you the right questions to make sure they have the right information to make your event a success. 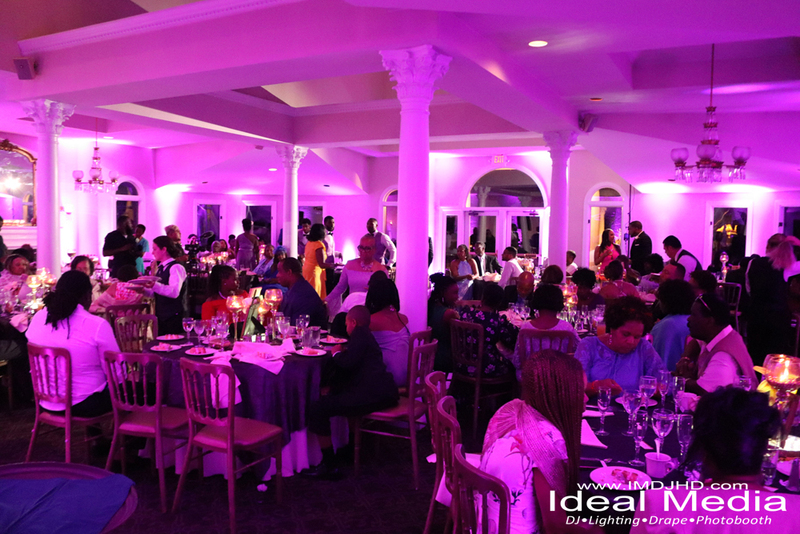 Do they have a genuine care for you and your needs and are they willing to go the extra mile to make sure you’re satisfied? 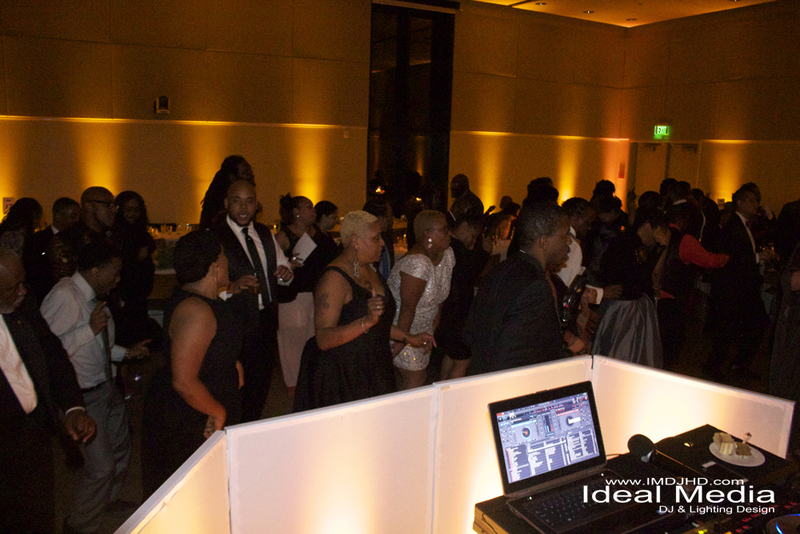 Check out more info on DJs in DC, MD, VA here! 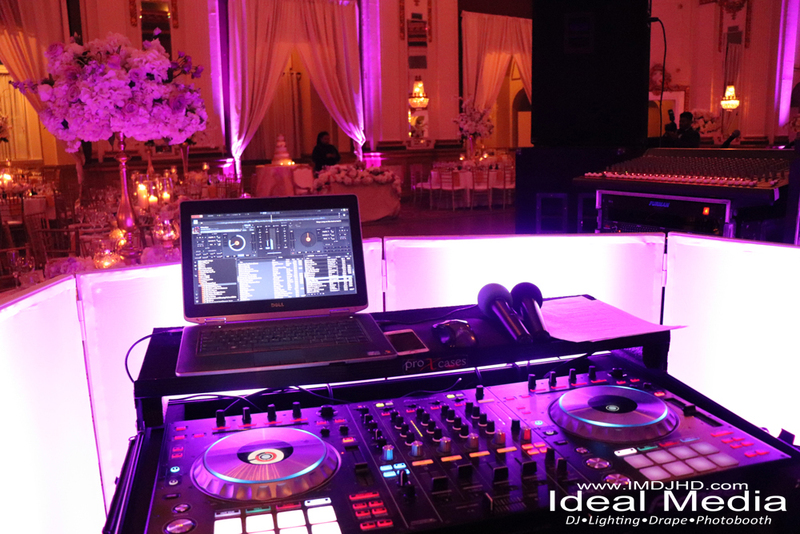 Can your DJ give you advice based upon their experience? 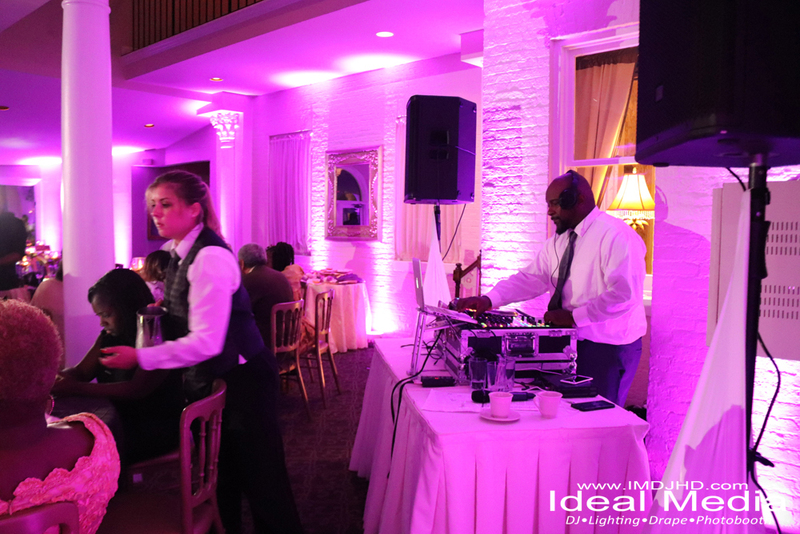 Most clients may not book a DJ on a regular basis. 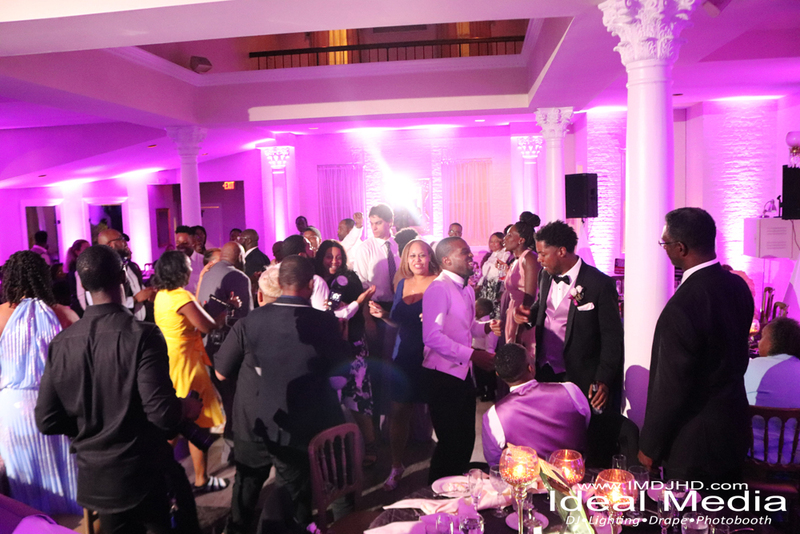 With that being said, your DJ should be able to help you with whatever questions you have and also provide suggestions if you don’t know what to ask. 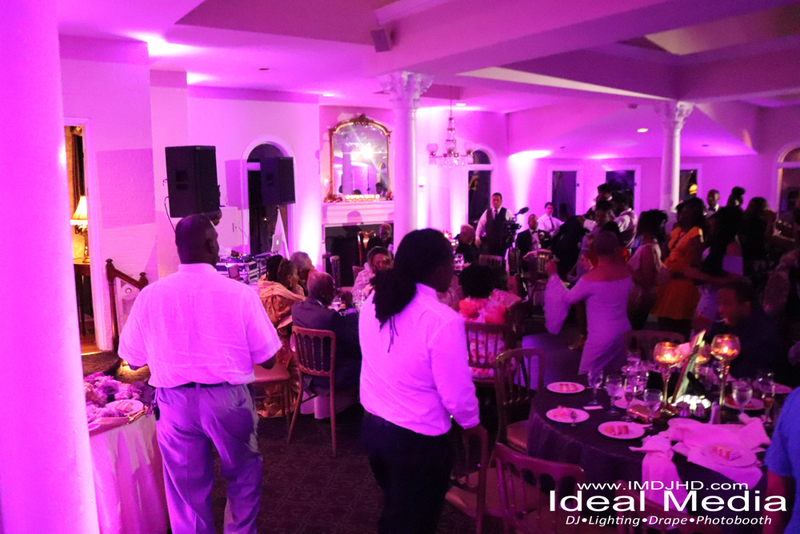 If you’re looking for a wedding DJ, they should be able to guide you from the beginning to the end of a typical wedding. 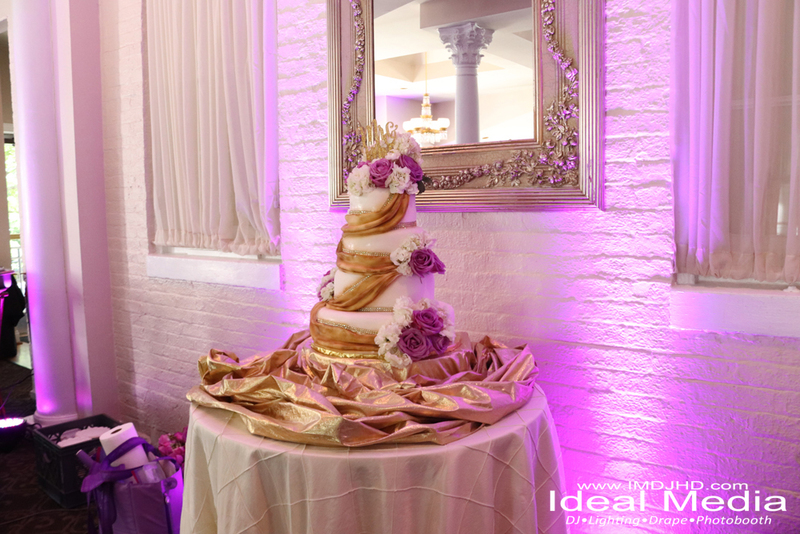 Follow us on Pinterest for more info and photos! 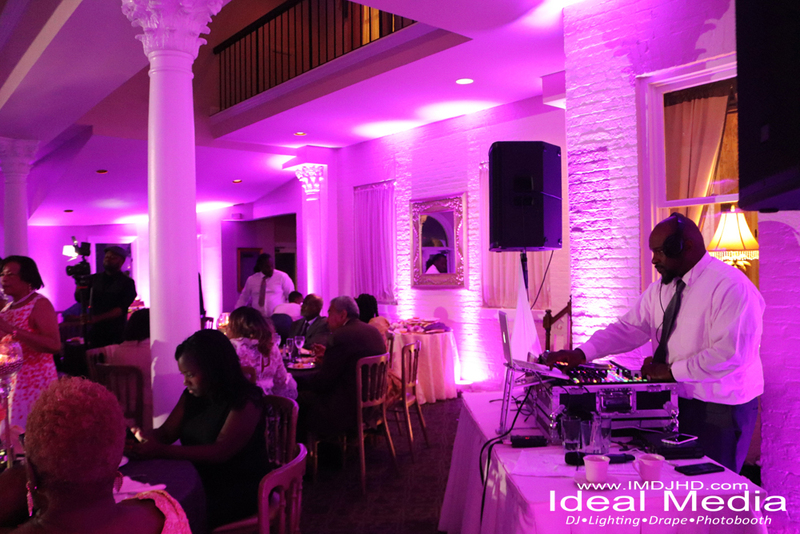 Is your DJ available for your event? 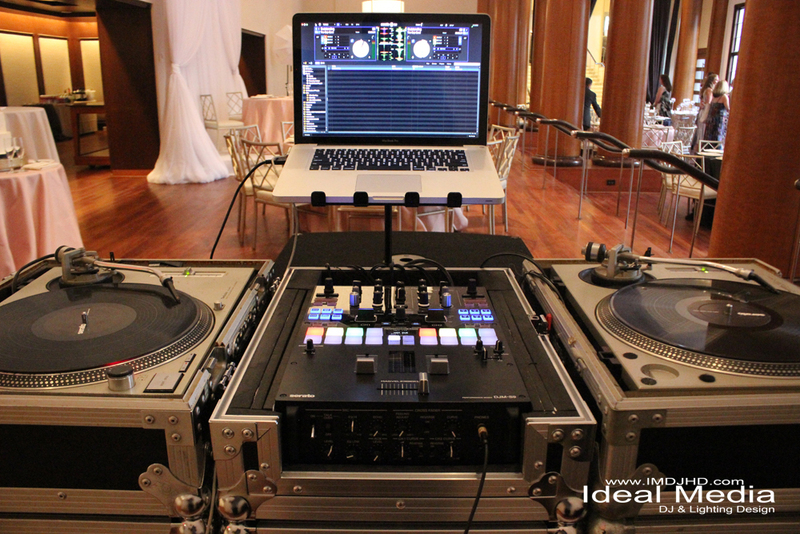 This is important because if your DJ is available for your event today, it doesn’t mean they’ll be available tomorrow. 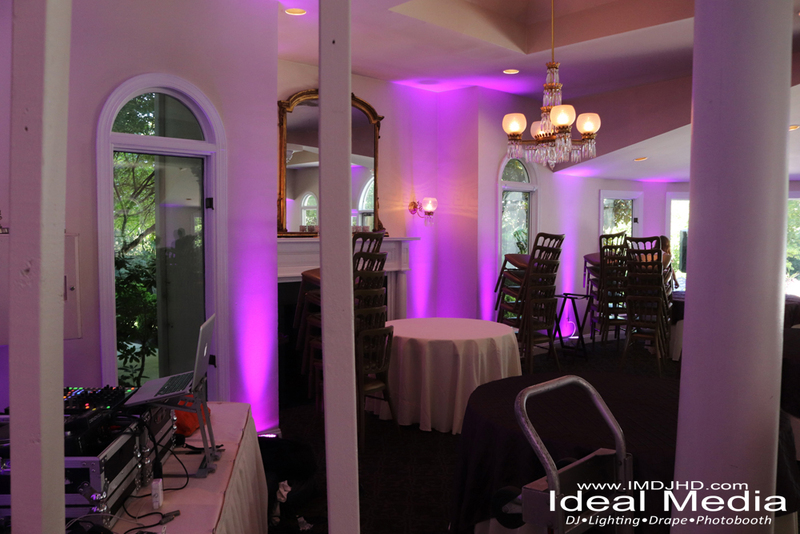 Most DJ’s are hired for weekends and some can be booked a year advance. 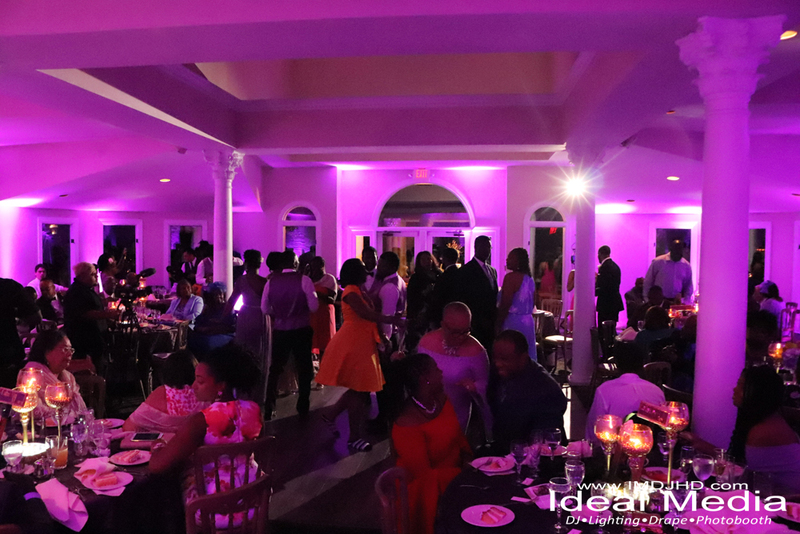 So if the DJ you’re most interested in is available for your date, it’s best to book them early to avoid them becoming unavailable. 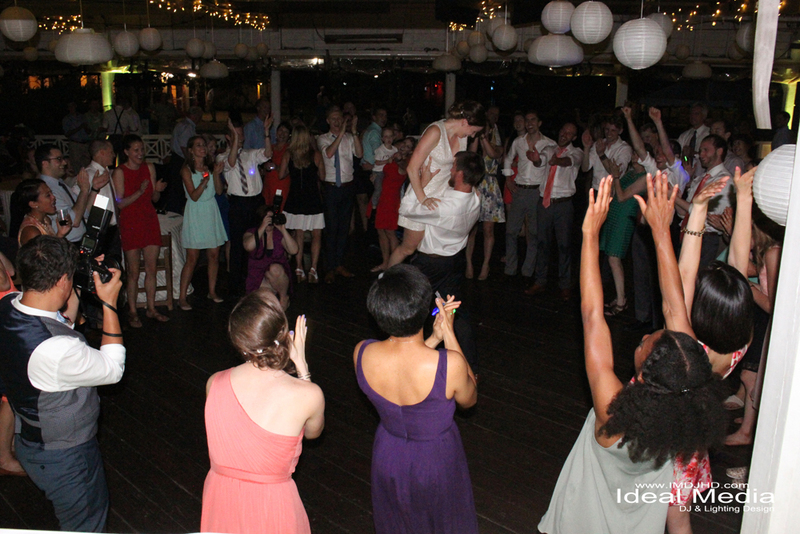 This happens quite often for clients who wait until the last minute to hire a great DJ. 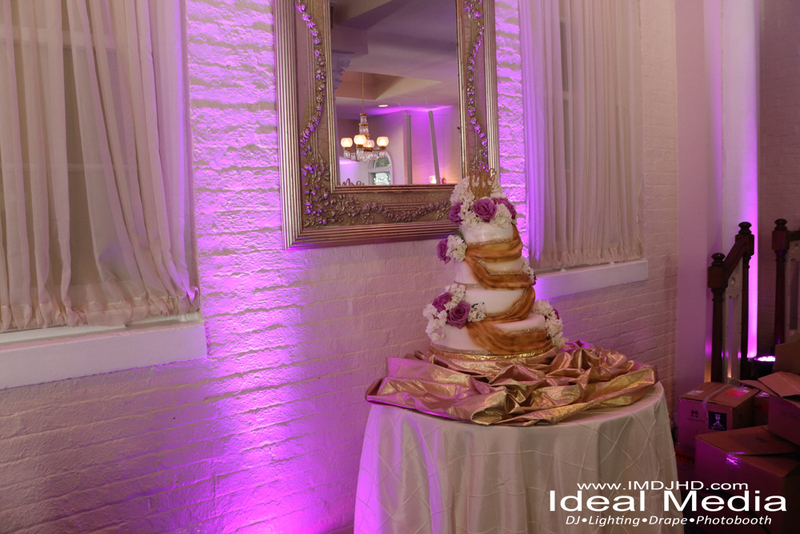 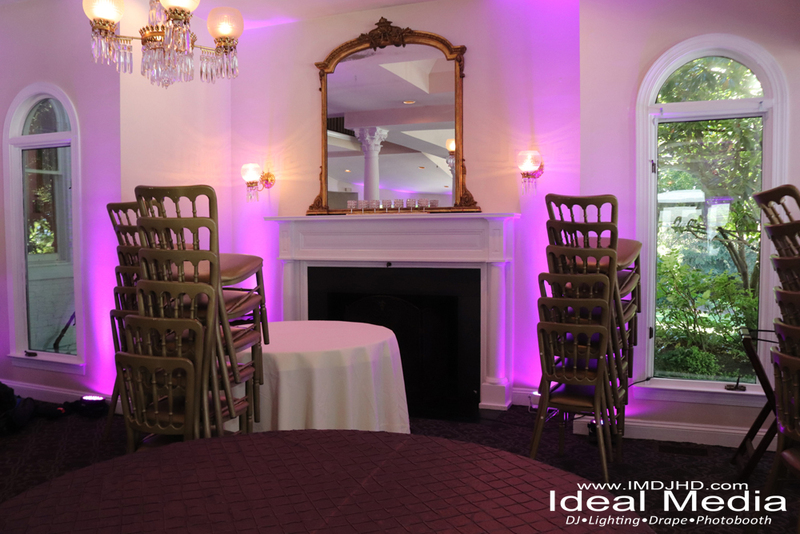 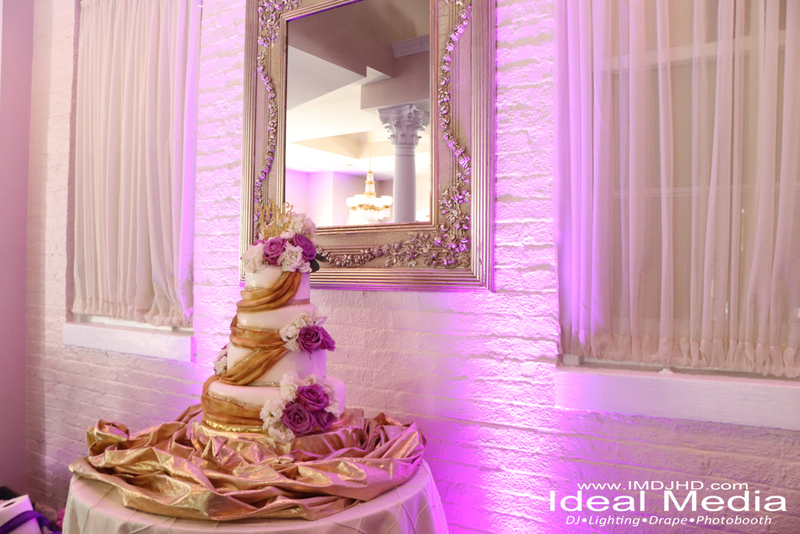 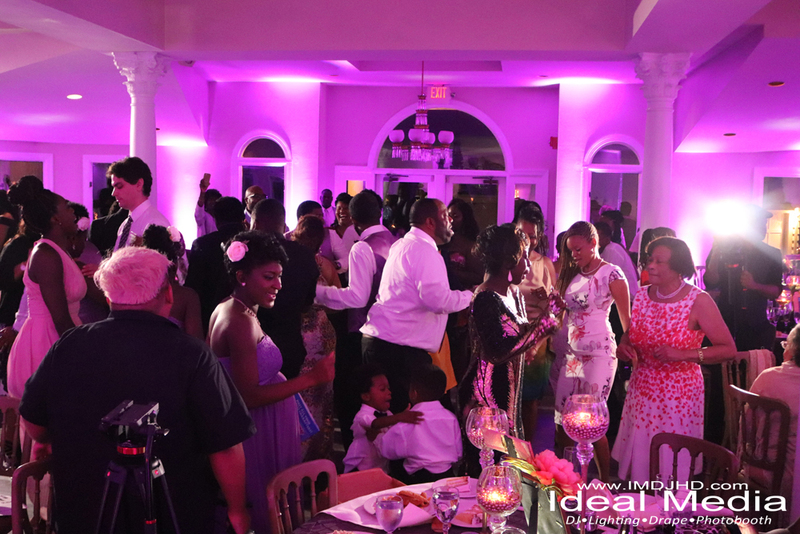 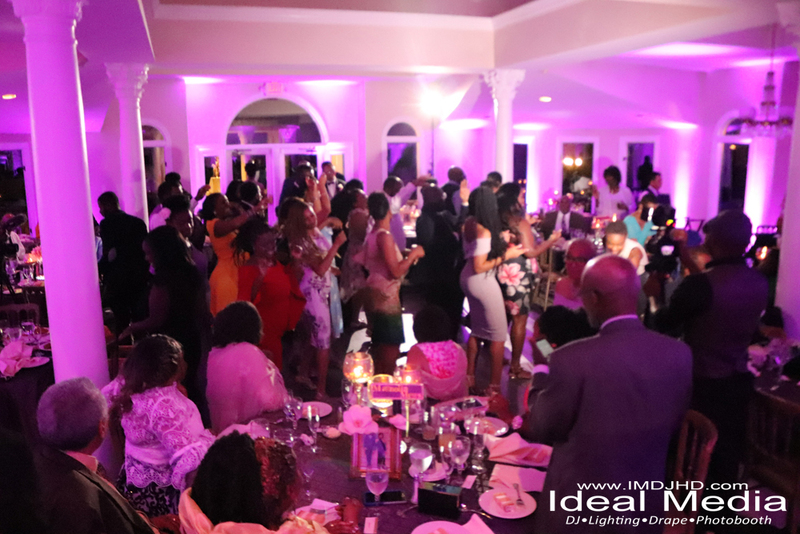 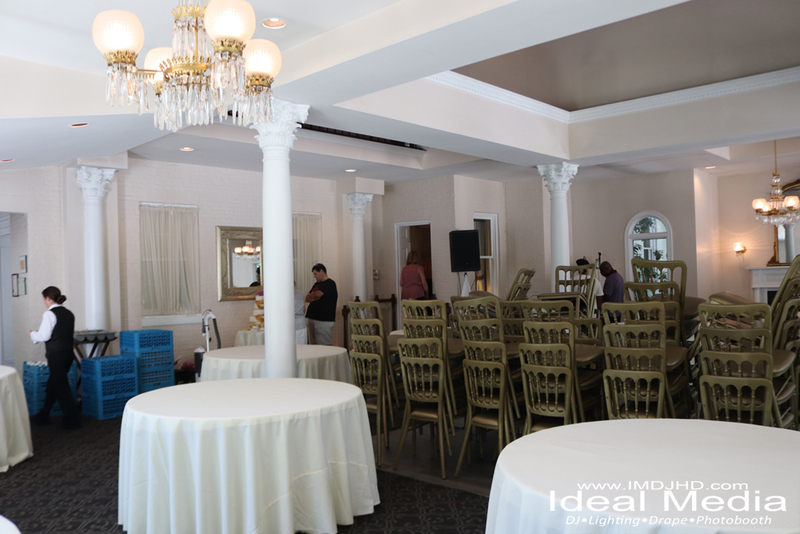 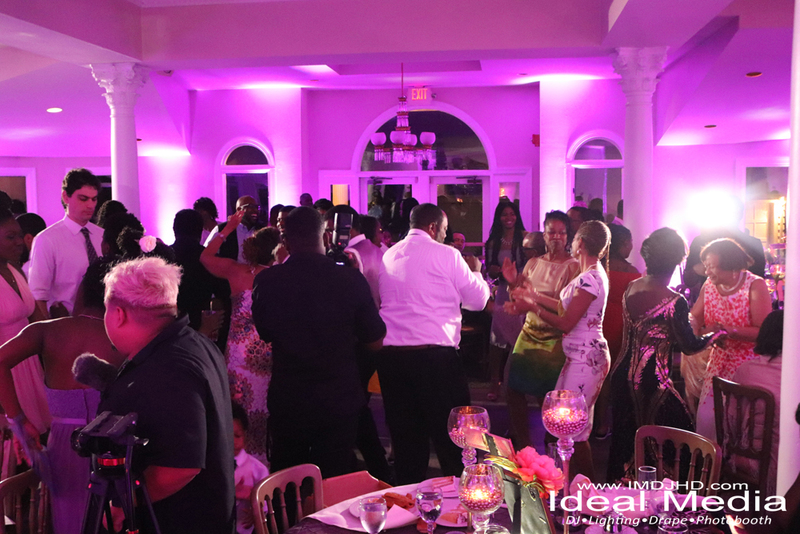 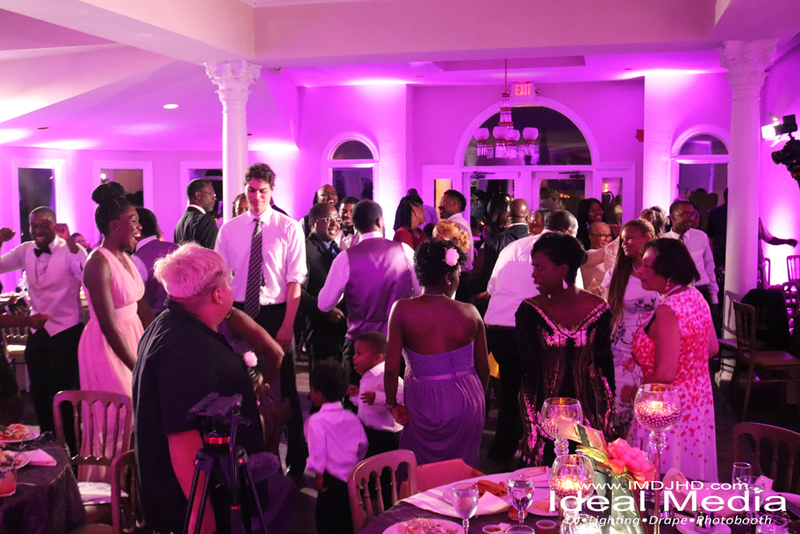 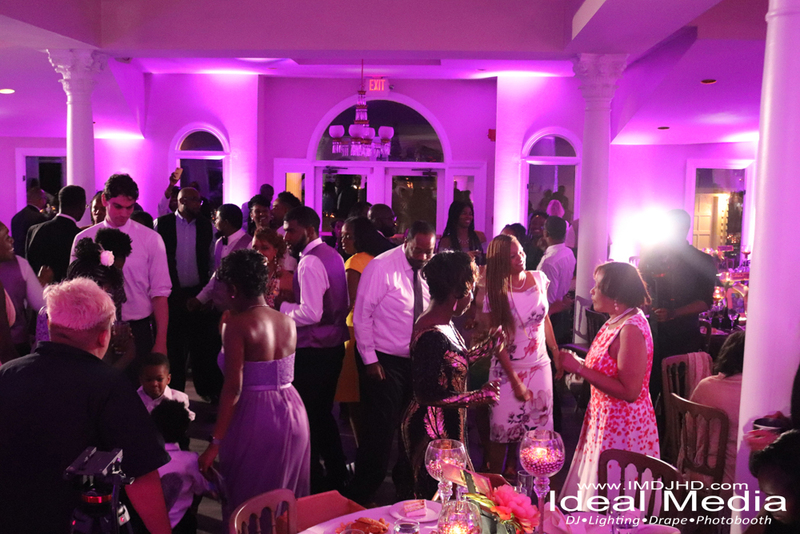 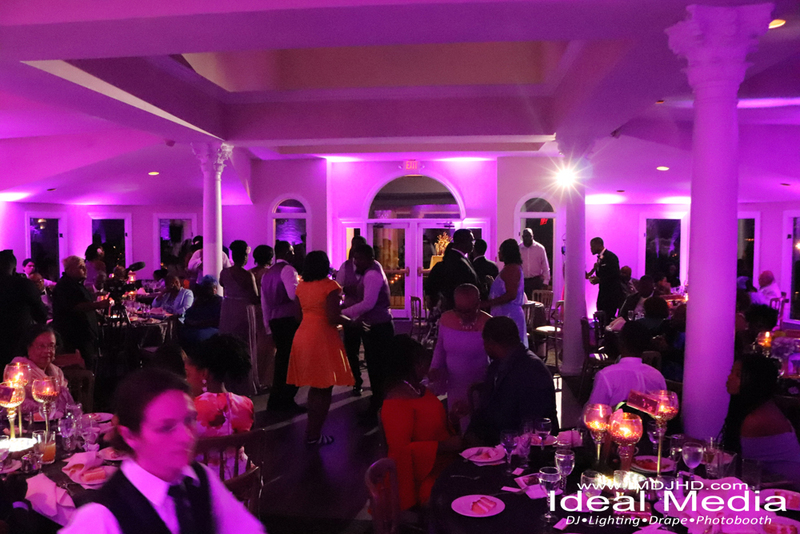 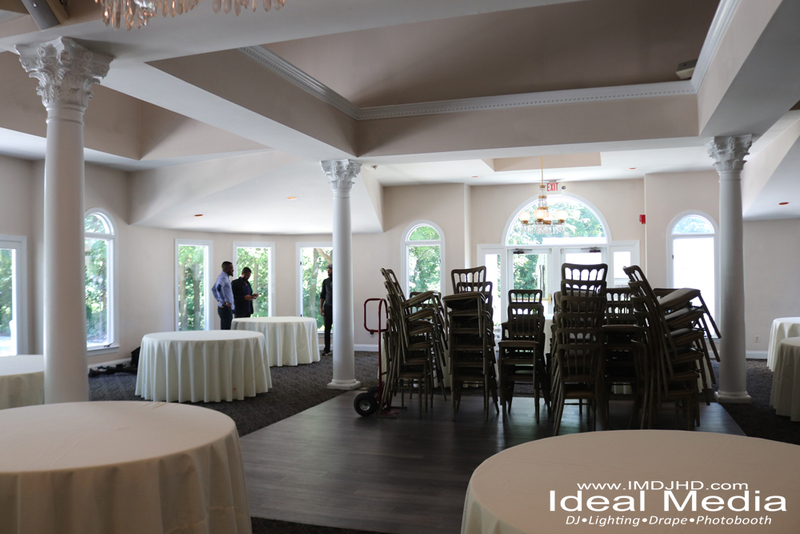 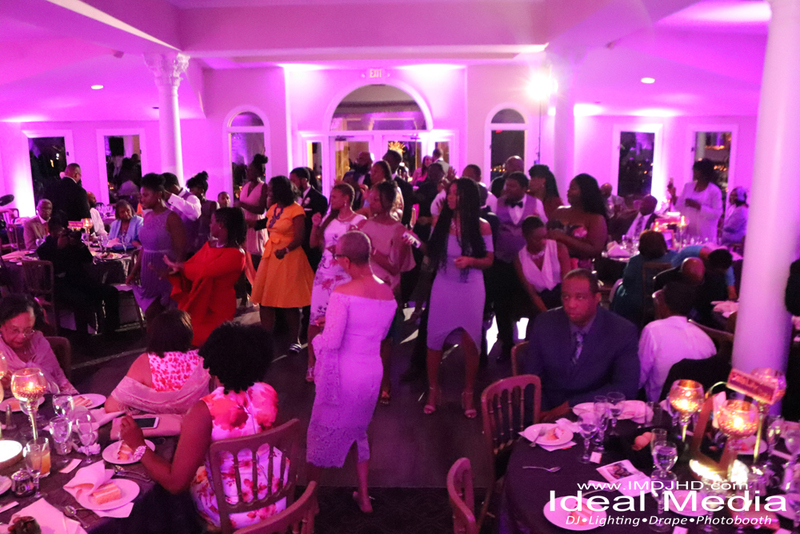 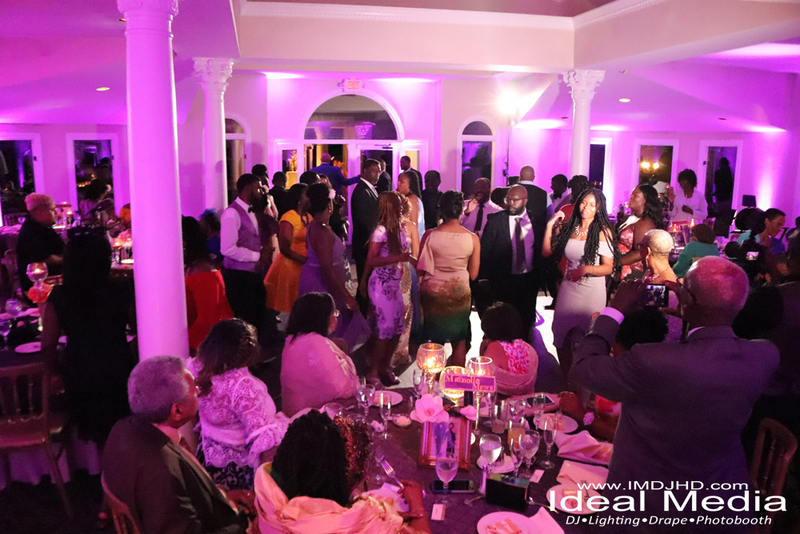 Watch real video clips of live events with Ideal Media DJHD! 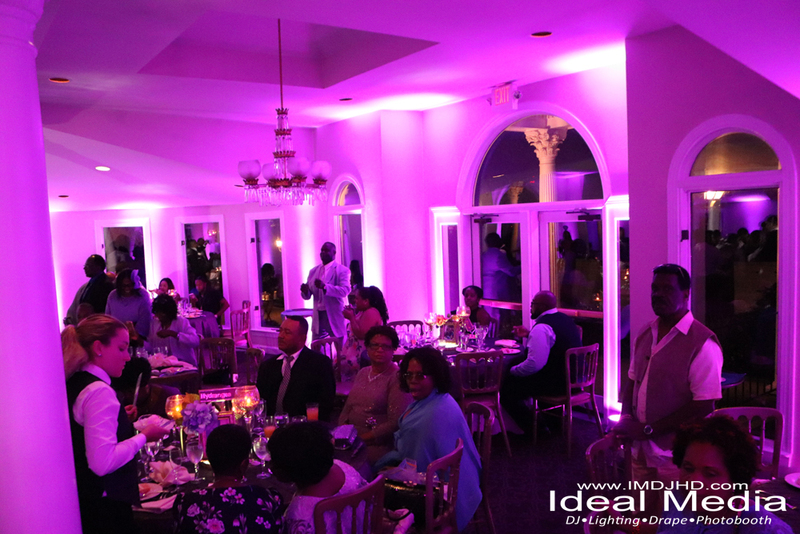 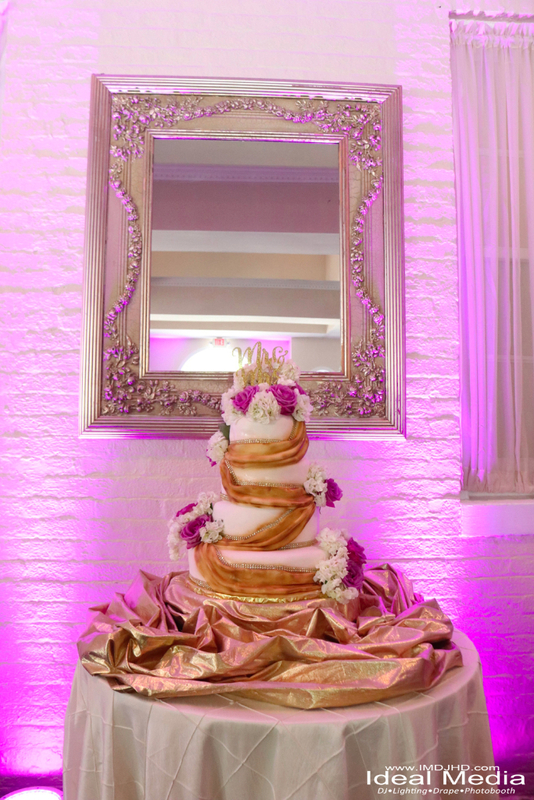 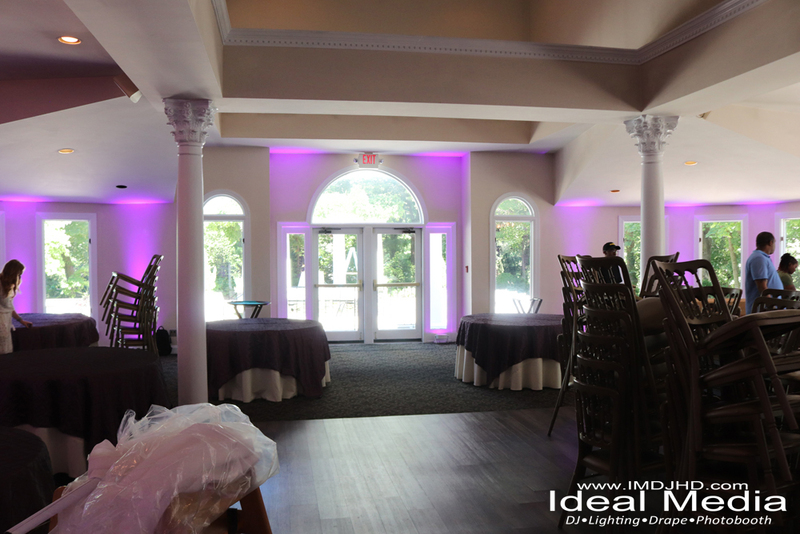 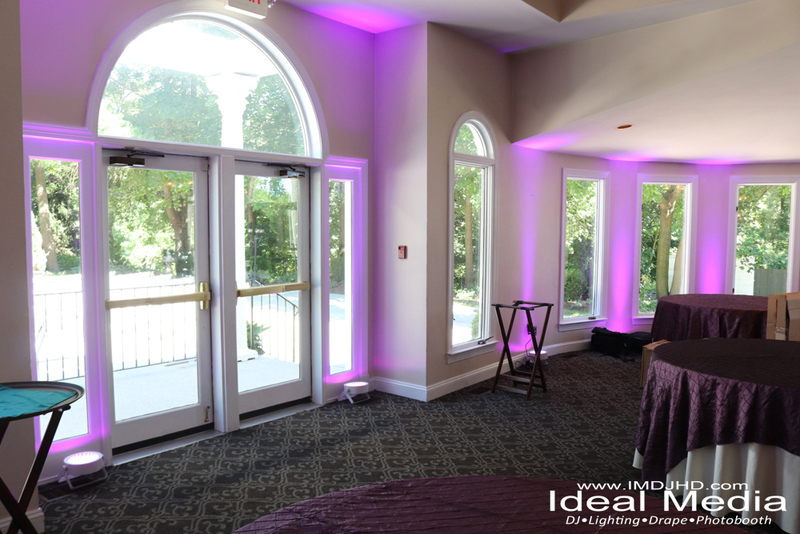 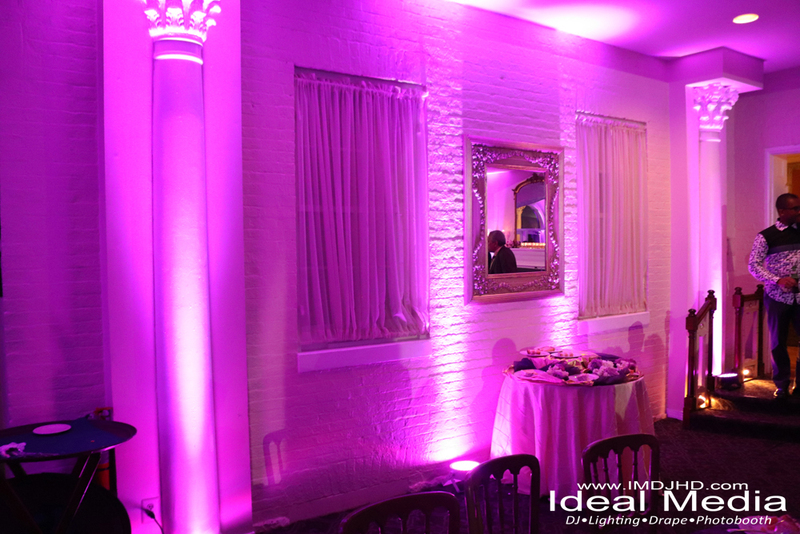 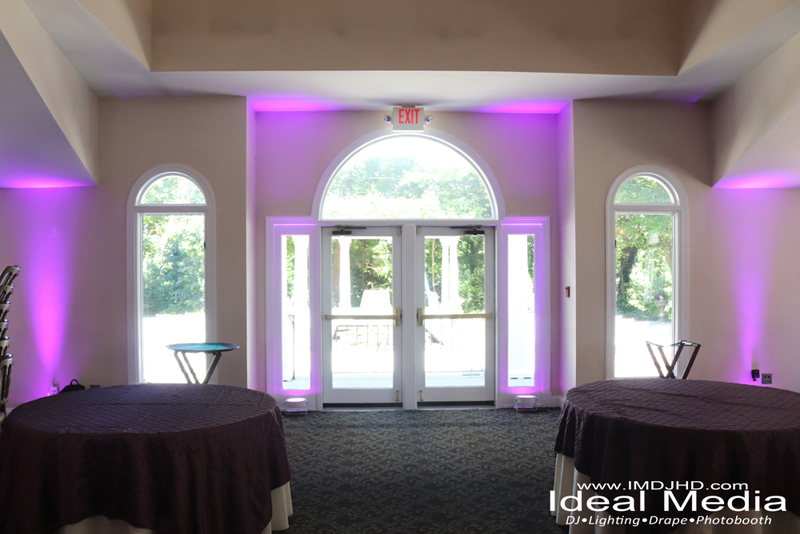 Party lighting • Uplighting • Pinspot lighting • Monogram/gobo lighting • Intelligent lighting. 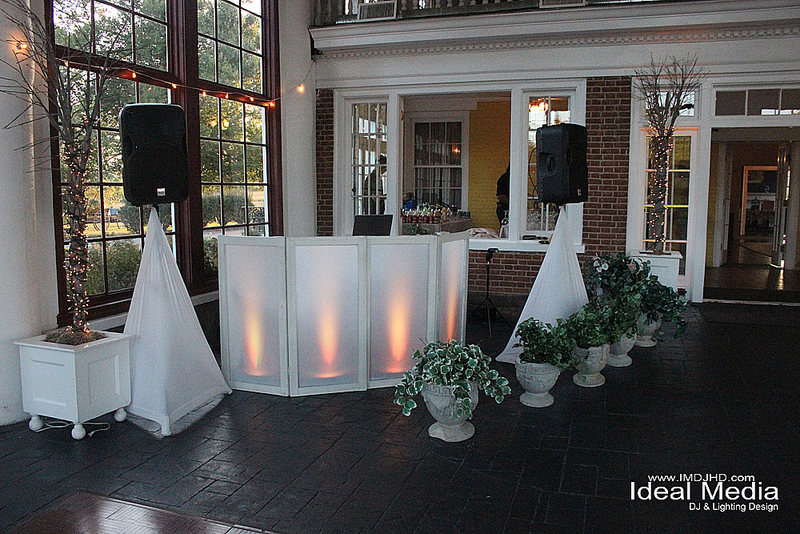 Looking for a DJ? 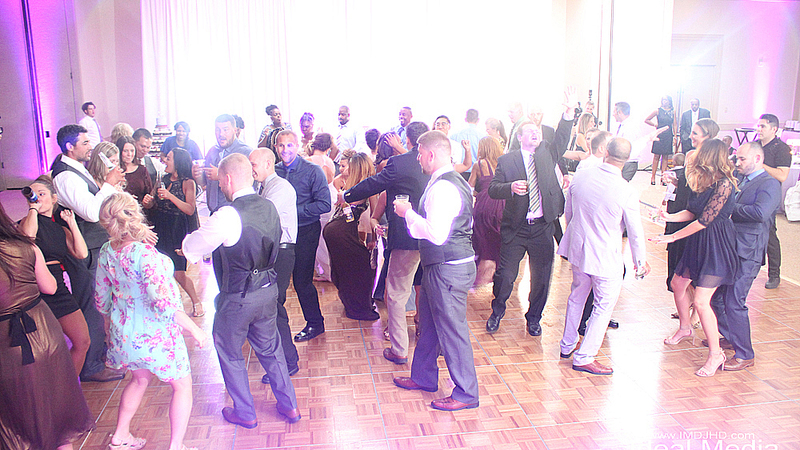 We have experience as Wedding DJs, Corporate Event DJs, DJ for Parties, & Karaoke DJs. 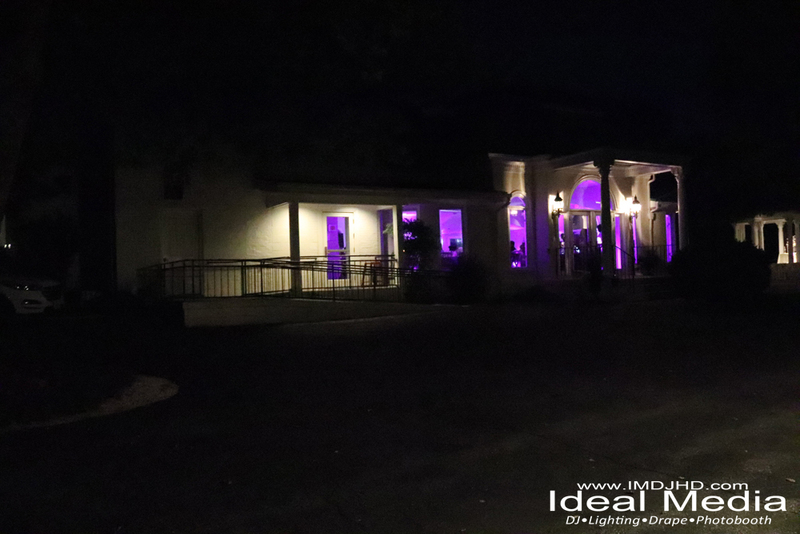 See you at the party! 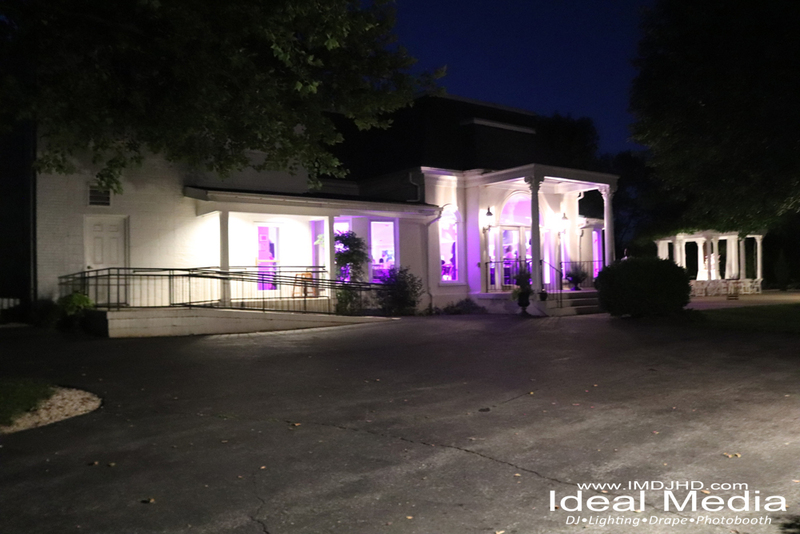 Click here to check out REAL REVIEWS from past clients! 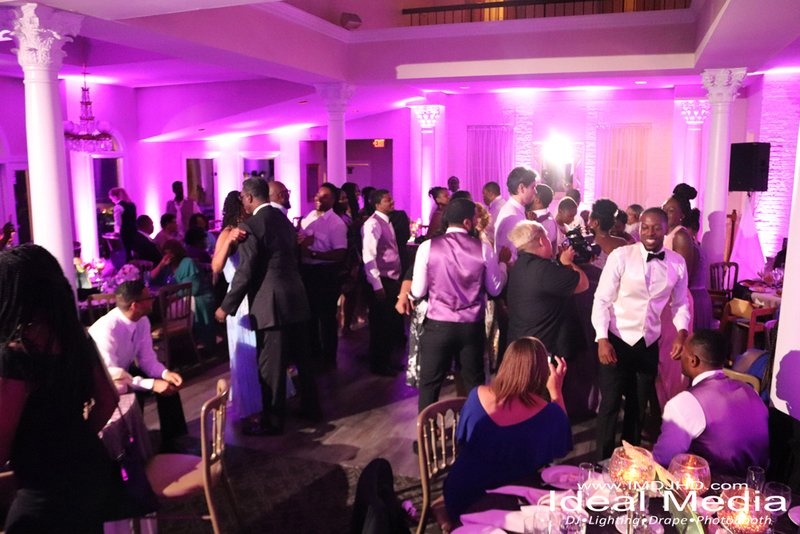 Also, click here to check out our video clips of past events! 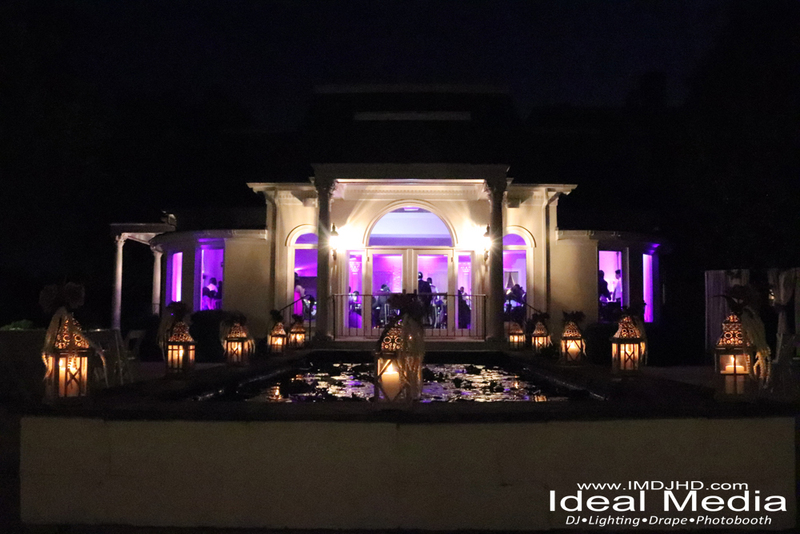 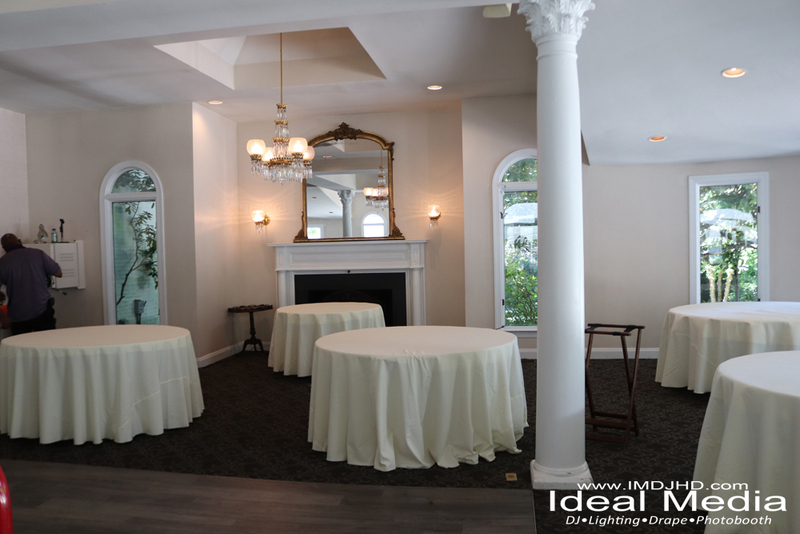 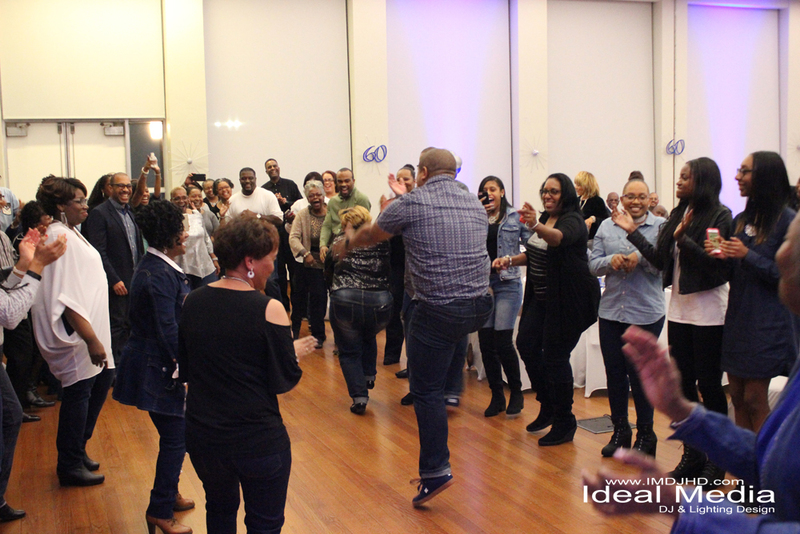 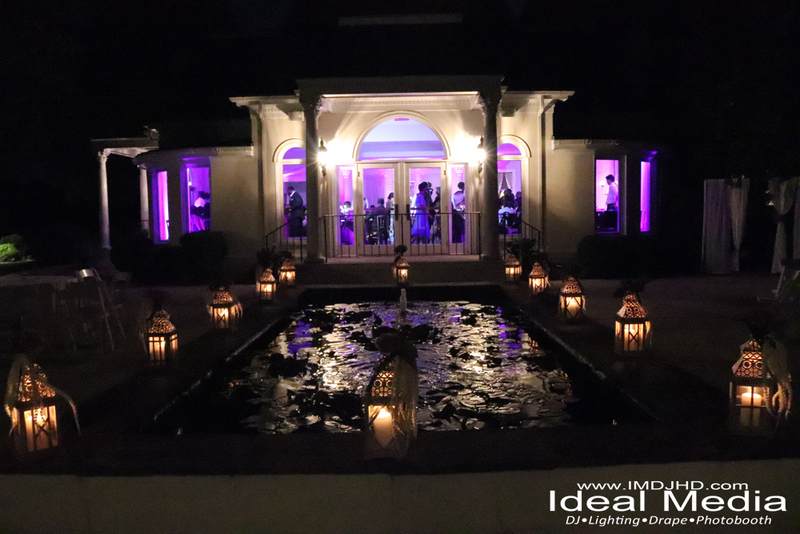 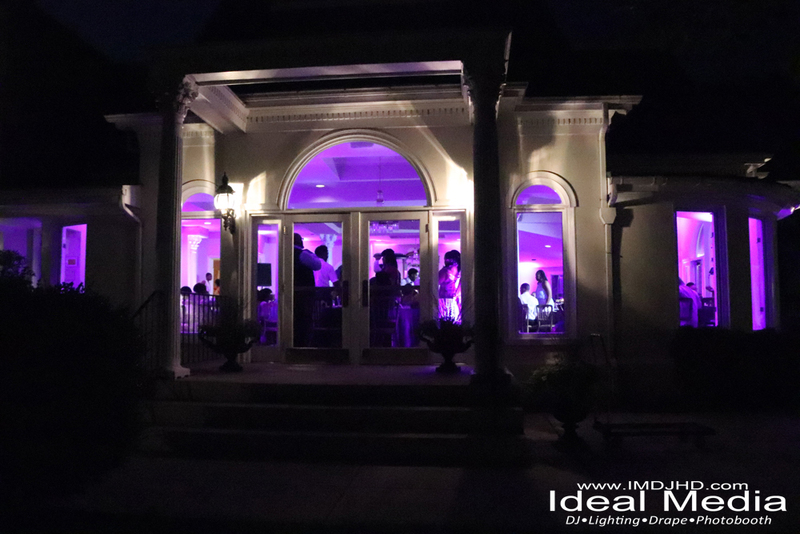 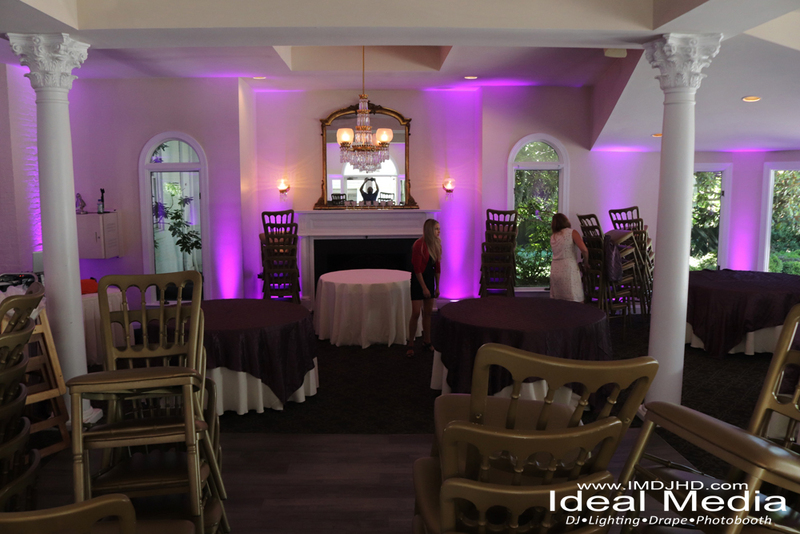 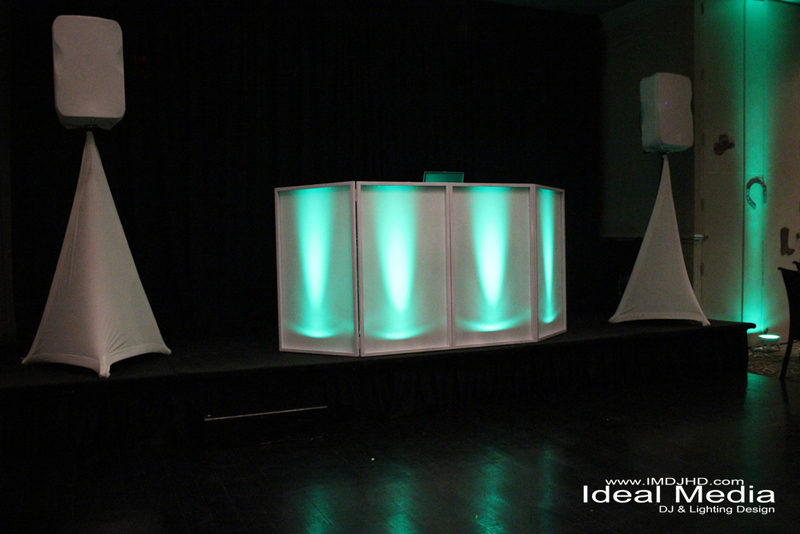 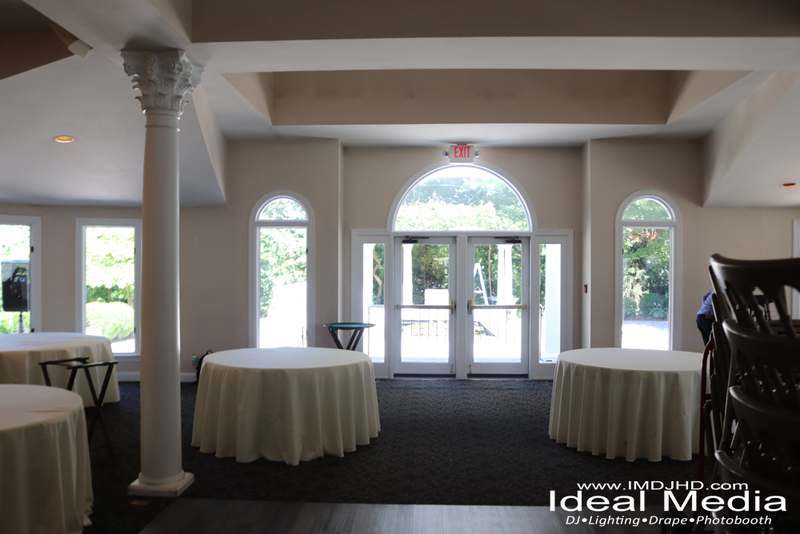 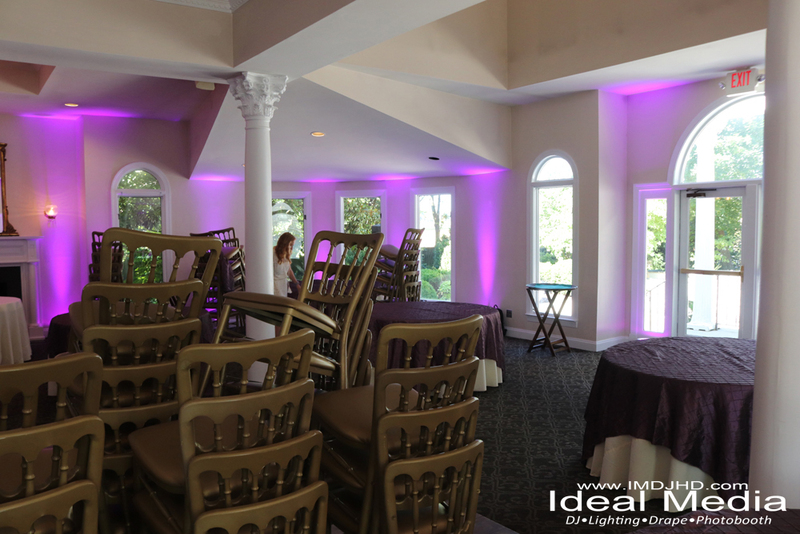 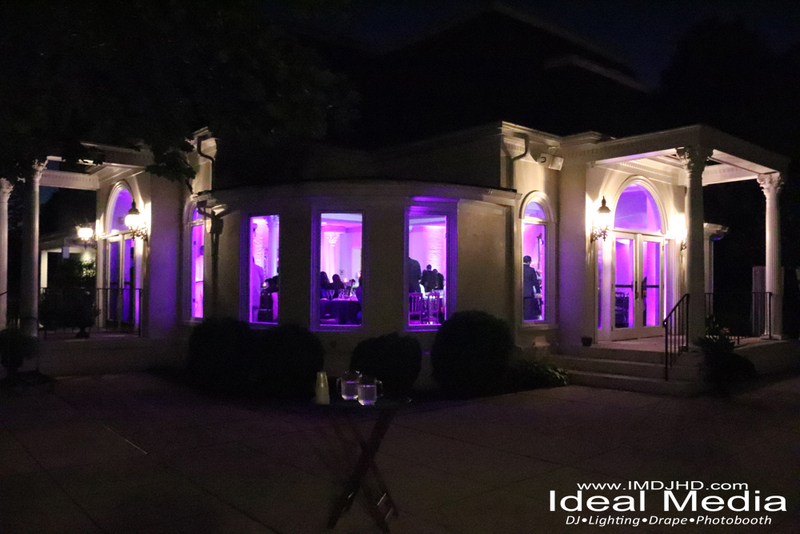 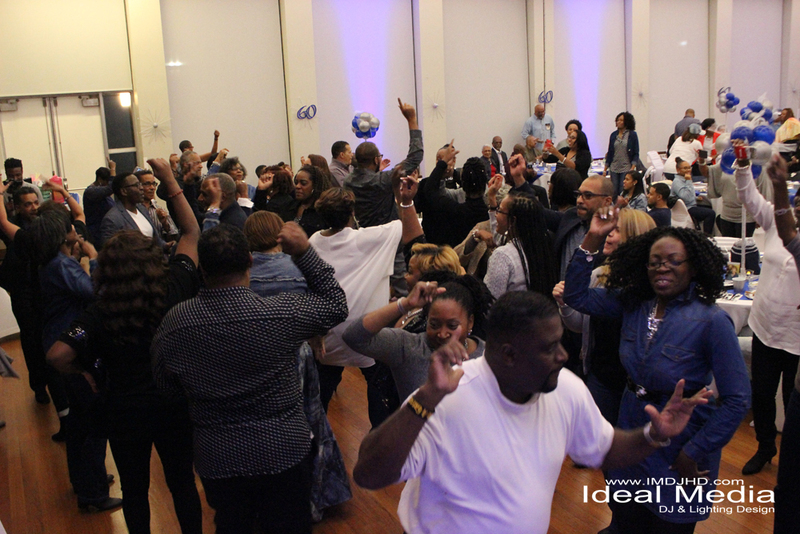 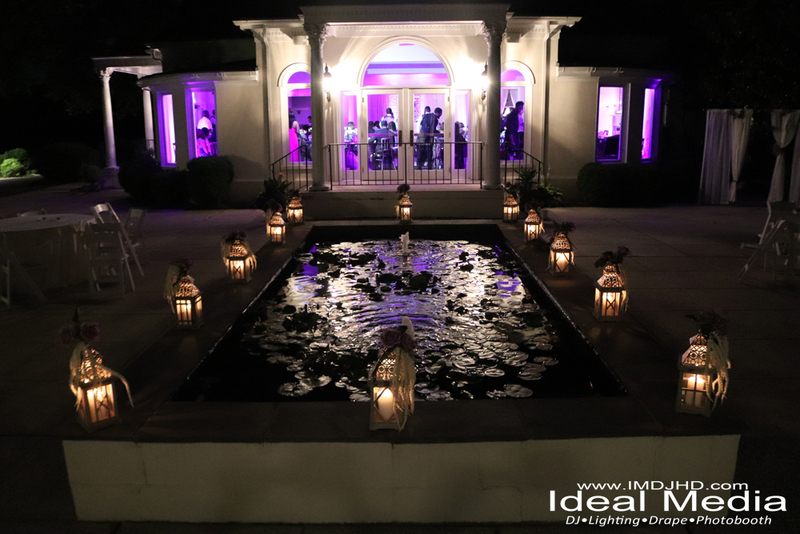 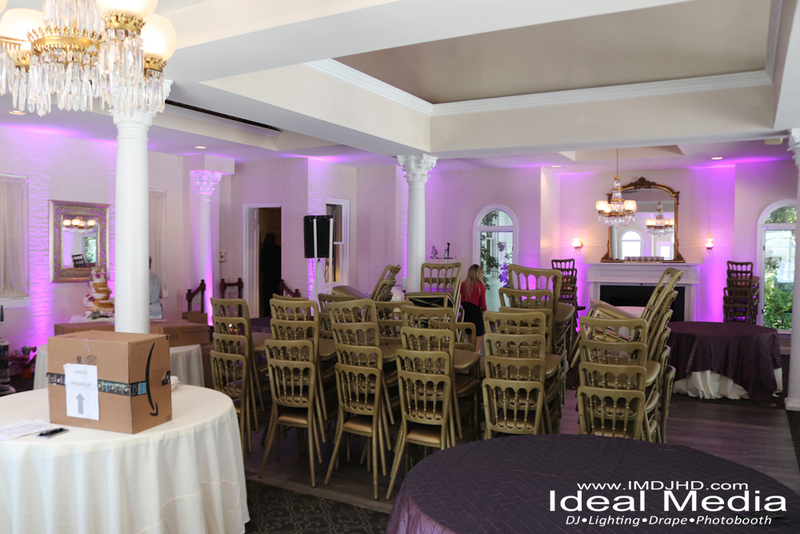 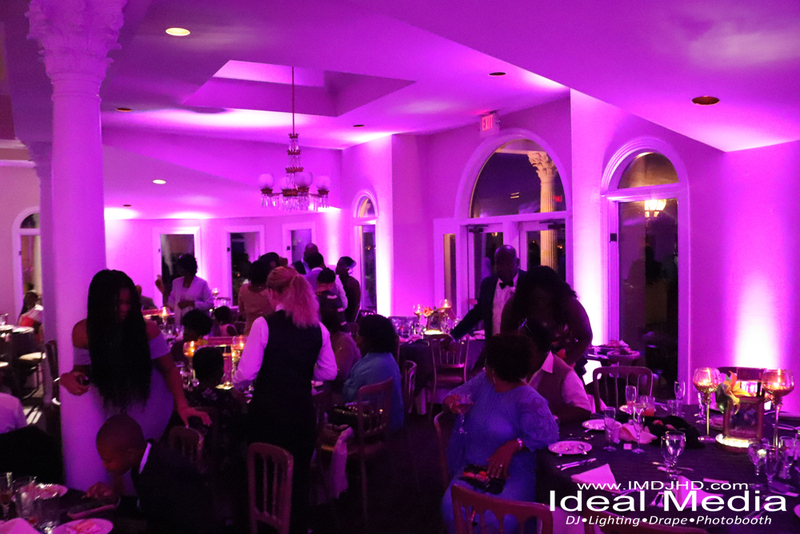 Hope you enjoyed your info on DJ Service with Ideal Media DJHD!